In the email preview pane, a button with the text Button Text will display. 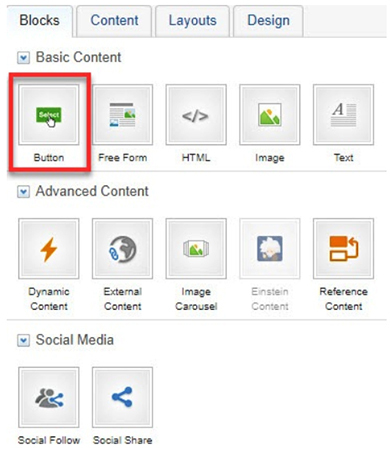 Hover over the button block, and click to edit it. In the Block Editor on the left, under the Content tab, enter your button text. Use descriptive text for subscribers using assistive technologies. Set the alignment to left, right, or center. 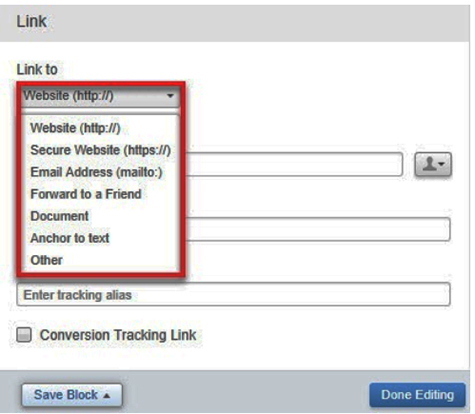 In the "Link URL" field, enter the URL. Do not include http:// or https:// if the link type is Website (http://) or Secure Website (https://). In the "Link Title" field, enter text for a hover-over tool tip. Enter a tracking alias. This is a helpful option when using analytics. 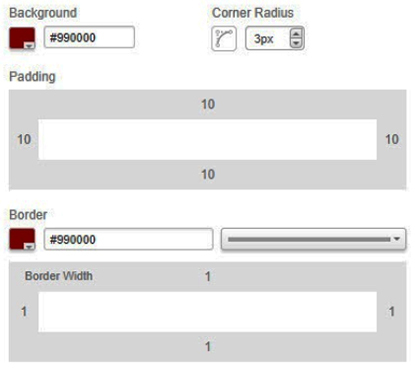 On the Block Settings tab, configure the background, border, and spacing settings as desired.